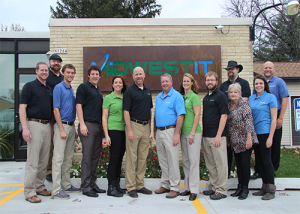 Midwest IT Solutions is the go to source for IT Support, IT Help and IT Managed Services as a provider serving the Greenfield, Milkwaukee County in Wisconsin. Midwest IT Solutions specializes in helping a wide variety of clients from lawyers looking to gain an edge on their competition, insurance agencies, and small businesses of various sizes. Midwest IT Solutions services include Cirrus Cloud Services which includes up to date hourly snapshots of workflows as well as an offsite backup to secure data and fast recovery times in case of data mishaps. Midwest IT also offers network management which includes virus and malware protection, employee monitoring solutions, disaster recovery and backups, and comprehensive IT monitoring. You can rest assured that with the Midwest IT Solutions experience you are backed by experienced experts who can handle all your computer support, helpdesk support, and technology support needs. Midwest IT Solutions services all your IT helpdesk needs as a leading IT company providing outstanding care as computer consultants for all your IT business needs. Midwest IT has over 100 years of combined experience in the technology industry. Our core values of honesty, trust, and commitment are why we’ve grown steadily every year since our inception. We focus on maximizing up time for your employees by providing exceptional PC support, server support, email, printing, network security, virus and spyware protection. While we are experts at using technology, we also aid Principals in business development, IT infrastructure planning, budgeting, and project management. Our team prides itself on matching the right technology with your business so you can leverage your assets to their fullest. With Midwest, our team will learn your business inside and out. We then improve your systems so you can feel confident you’re utilizing your technology to its fullest. Many of our customers say our employees are so ingrained in their business that we are viewed as in-house staff. We want you to focus on growing your business instead of focusing on IT. “We have been working with Midwest IT for over 5 years. They manage our network and security. We are an insurance agency and store a lot of client personal information and it is very important to have the right security hardware and software in place. Midwest IT has always been on top of any new threats and have kept our database safe from these threats. They are also knowledgeable with our agency management system, Applied Epic and that is a big plus for us, because they can give us suggestions and help troubleshoot when we are having trouble with our servers alongside Applied’ s support. Their ticketing system is very user friendly and their techs are quick to respond. You can count on them to tell you the truth and they are always looking out for their customers best interest.” –Shirley Gonzalez of Joseph M. Wiedemann & Sons, Inc.